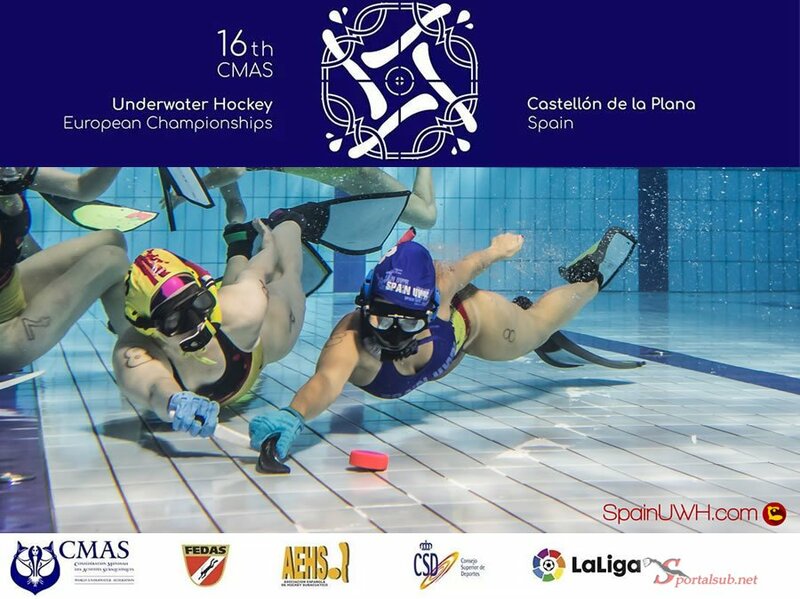 From July 27 to August 4, 2019, the 16th European Underwater Hockey Championships of the World Underwater Federation (CMAS) will be held in the city of Castellón de la Plana, Spain, the city that has hosted the World Championships by Age Group in 2015 and European Club Championships in 2018. This was confirmed by Marta Pons de Molina, Secretary of the CMAS Underwater Hockey World Commission. The event will be organized by the Spanish Federation of Underwater Activities (FEDAS) and the Spanish Association of Underwater Hockey (AEHS).